CMR Entertainment Karaoke. Your guests can look through our catalogs, which consist of all genre of music and select a song from our large extensive karaoke library. They will then be introduced by the DJ/Karaoke DJ to sing. Up to three microphones are available for duets and groups (more microphones available upon request). The lyrics to the song will appear on a flat panel monitor and will highlight as the song progresses. 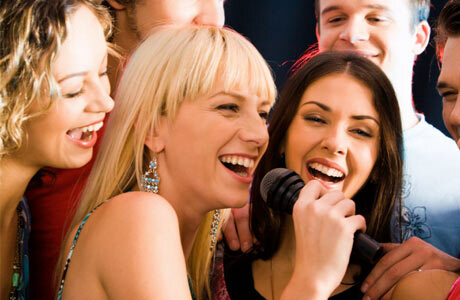 Sit back, enjoy and cheer your guests on as they perform their favorite song. We will make you and your guests feel like stars!